In my last post I went over what marketing automation was in general. 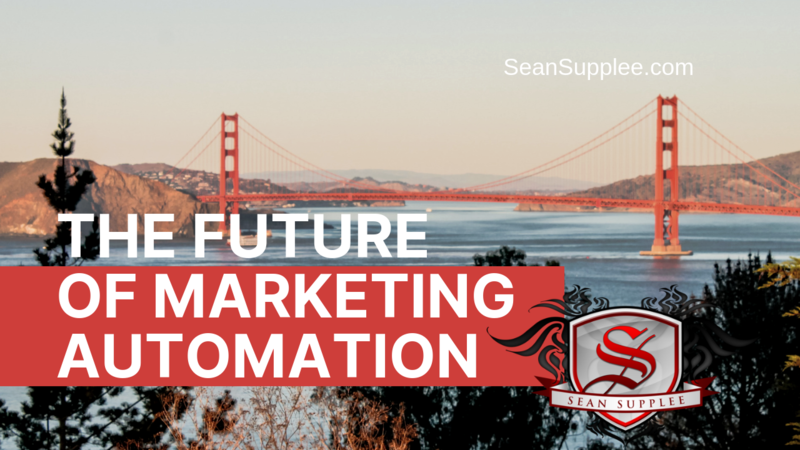 If you missed it you can check it out here – What is Marketing Automation and the Youtube video at Marketing Automation Here. This gave you a good general idea of what marketing automation is. Now I want to step into what I feel it will be in the future and what you should be planning for. This will be a more general post and later on we will deep dive into each. Testing automation setup is going to be key when scaling and optimizing for your customers. The things you will be testing will become more automated allowing the system to configure and run tests on its own such as split testing conversion rates on lead capture pages, order form pages, one time offers, webinars and more. It will track when your most responsive times are and cater the content based on the type of content that leads to the goal you have set be it lead capture or sales generation. I also feel like the system will be able to detect where the view is being generated from and alter the page based on that information created a more targeted page for that person. These automations will be there to better serve your customers. There are plenty of items we can automate such as content delivery of pdfs, reports, videos, membership access, automated webinars etc. The other factor which will be important for you or your team is the amount of time/money you spend on new automated systems. As this becomes more common place more advanced systems will be released but you will have to decide if it is worth the time and money to setup new or replace old automated systems. Your core goal with all of this will be to use the correct tech to free your time or your teams time by weighing in better alternatives of automation. Perhaps even one day these system will become automated enough to let you know the benefits of updating in time/cost factors. Right now it seems that businesses either use one or two main social media platforms to communicate with their customers and leads. For instance a company might be heavy on Instagram marketing but lack on Facebook and Twitter. This can be a very costly mistake but one that many companies currently fall into. Moving towards the future OmniChannel/ Multichannel marketing will be key. This allows your customers and leads to decide how they wish to consume your content instead of you telling them where they have to go to consume it. This will come in the form of cross platform marketing. At the moment I use Tailwindapp. This allows me to post an image on Instagram and then instantly convert that image into the correct format size and description/hashtags for Pinterest. I can also set the Pinterest pin to be promoted on to my twitter and Facebook pages. A little work is involved on the front end in creating the image and hashtags. Then this single image is posted in unique ways across 4 social media platforms all automatically! I can also queue this months in advance saving a lot of time and frustration later on. As we move to the future permission based marketing is going to become more present to companies that collect user information. New laws make it clear that anyone collecting this data needs to respect the customers information in both being transparent with what they do with that information and security. This permission based marketing I believe will also start to fall into allowing certain information to only be sent at certain times of the day based on the customers input. At the moment the company currently makes this decision but customers I believe will have control as to when they want this content to be delivered to them. I believe this will come down to a better structure of knowing your visitors and customers data all in one place. 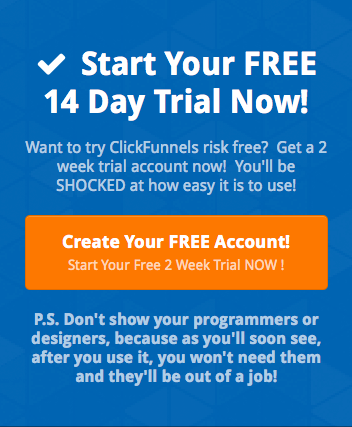 That place being what I call contact profiles which I use on ClickFunnels. This allows me to manage, filter and sort people from list to list based on contact profile information on each of my leads and customers. One thing you can be sure of is new social media platforms will be released and those currently here will change. I believe in the next two years we will start to see more of a decentralized system based on crypto and cryptocurrency. This will greatly alter how information is presented to people and I believe make ad costs will skyrocket as it will be highly targeted and limited to certain times and sites. The other important part of this will be to keep on top of new social networks that launch and to build your following in it as soon as possible. It will be important to test what is working and what is not working on these new social platforms and to be sure you stick out as a leader on that platform early on. If the social network takes off you will be in the perfect position to maximize your profits and leads from it. You really never know what one will take off so this is why I say it is important to keep up with ALL new social media platforms. The best known form of delivering content is email marketing and is also the preferred way to get information in most cases. However that will be changing as we move automation into the future. Two of the new ways to delivering content I can think of are Desktop Messaging and Facebook bot messaging which are both roughly 1-2 years old. Knowing how to balance your content delivery will also be important. Using short content when your leads are busy which they can optin for and save for a later time when they are not busy. This allows for your longer content to be consumed when they give you their full attention. Your automation here would be a small snippet content that spreads out as feelers to collect leads that will be reading your content in depth later on. I also believe that video will be replacing a majority of content online. It will replace written courses, pdf reports, articles and case studies. Instead the information will be in video format allowing for faster and easier absorption from any mobile device, tv screen etc. There you have it 5 key areas and where I believe marketing automation will be going in the near future. Use this article as a reference point about possible areas you want to start exploring and preparing yourself and your team to be able to adapt and use as soon as possible. 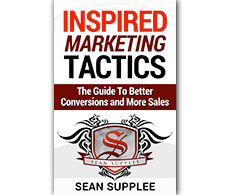 Sean Supplee is the founder and CEO of this blog, Its got my name on it! Passion drives me to help other bloggers and those looking to take their knowledge and share it with the world. Coach, Mentor, Social Strategist and Funnel Consultant. I couldn’t agree more that these areas will definitely see automation or further development of automation in the near future. I think as well, that the companies that develop this automation, while also making sure to stick to the old ways of follow up, will continue winning. Manually texting, calling, and reaching out to leads and customers, is and I think always will be the best way to produce the fastest results possible in the shortest amount of time. Look at Grant Cardone and how his enterprise has grown! conversion rates with the same amount of traffic!